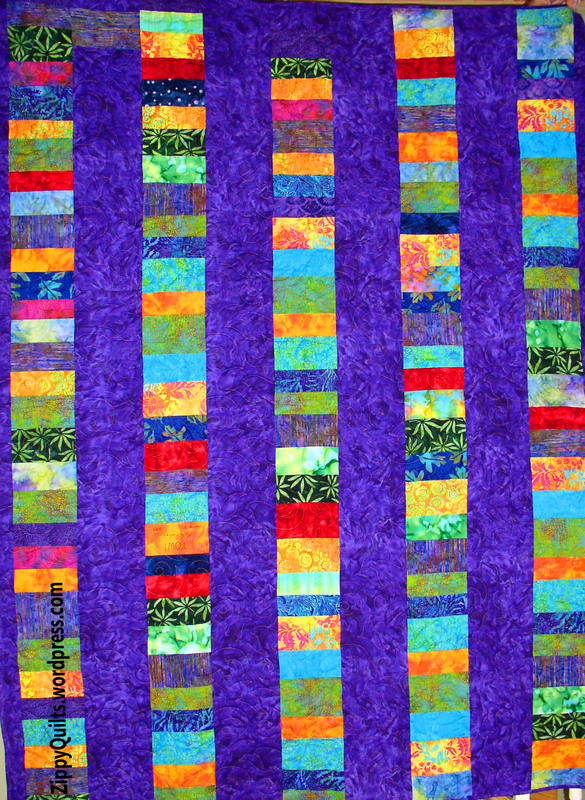 This is the back of one of my bright batik quilts–it was fun! ‘Tis the season to make resolutions, and I’m not big on those, but there are a few things I don’t plan to repeat. 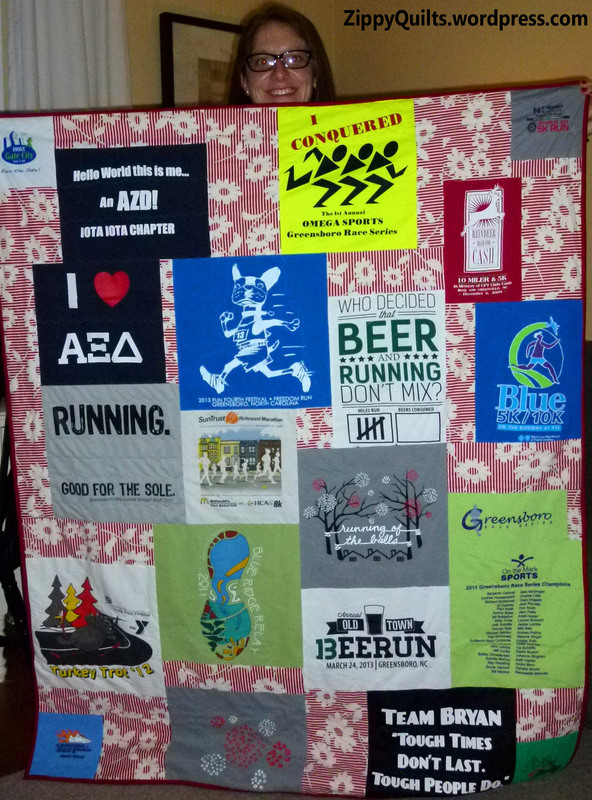 And to go with the list, a few of my quilts. 1. I won’t put a cup of hot coffee on my cutting mat. Turns out that little sucker is VERY heat sensitive and warps locally just from having a cup of coffee on it for a few minutes! Of course I knew not to leave it in a hot car, but I really didn’t think the bottom of a coffee cup got that hot. Another batik quilt! I love batiks and straightforward designs. terrific fabric I “need”. It can be WAY too difficult to find it again, let alone to find the coordinates to go with it. 4. I won’t assume a marker will come out of my fabric just because the manufacturer says it will. The manufacturer also said to “test on an inconspicuous area” before using, and that WOULD have been a good idea! 5. I won’t set the piecing foot from my machine in a box of binding clips when I need a safe place for it “just for a few minutes” while I use another foot! That foot walked off with the binding clips and was lost for 2 weeks. 1. I’m going on retreat with my best quilty friends. At least twice next year. 2. I’m going to at least one big national quilt show. 3. I’m going to submit at least four of my quilts to shows or contests. 4. I’m going to take at least one workshop to learn a new technique or get some new ideas. 5. I’m going to have lots of fun. I hope you are too! Happy new year! 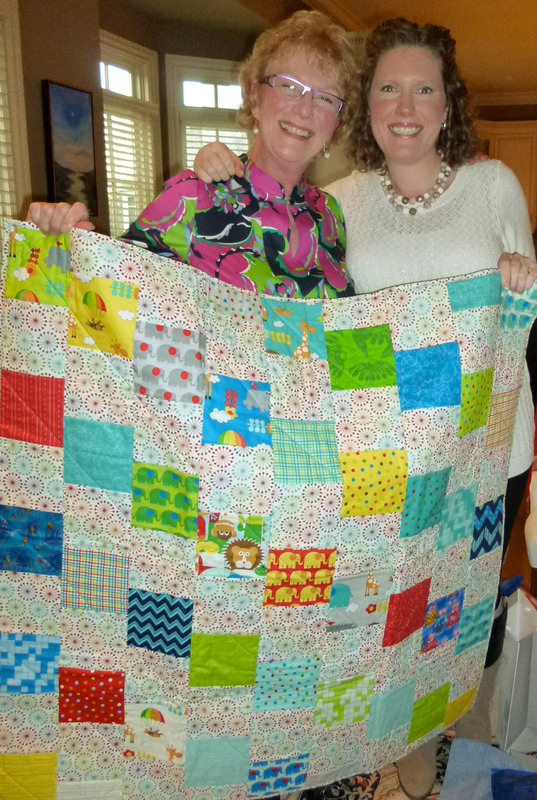 A very important baby quilt! 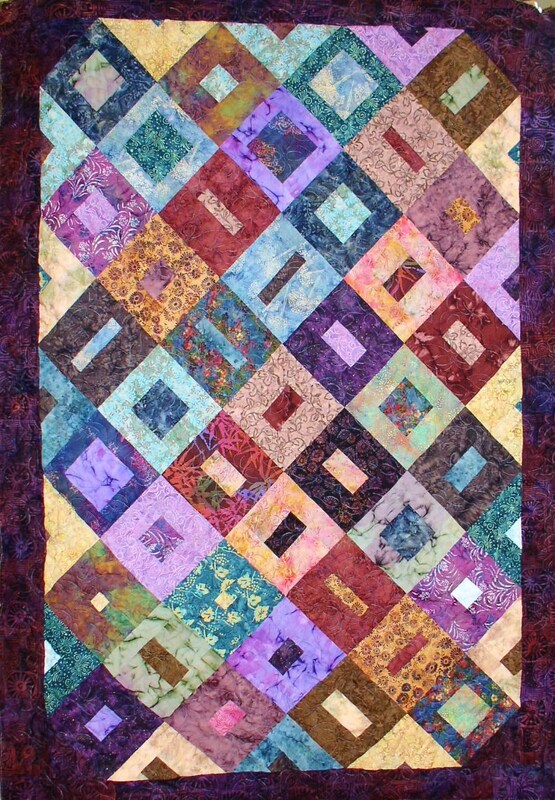 This entry was posted in Modern Quilts, Quilting and tagged free motion quilting, quilting, quilting mistakes by zippyquilts. Bookmark the permalink. Those are some pretty lofty goals for a new grandma, but I do wish you a very happy 2014! Thanks, Emily! And thanks for checking out my blog!